Welcome to Mary McDonnell Vault, your online resource dedicated to actress Mary McDonnell. 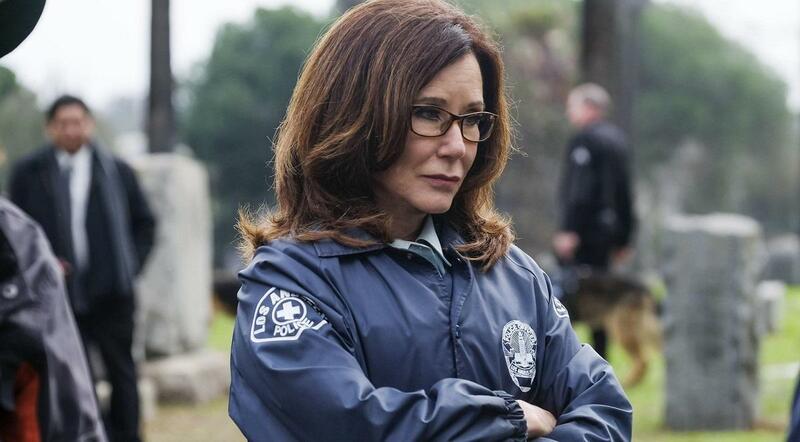 You better know Mary for her role as Captain Sharon Raydor for the TNT crime series The Closer & Major Crimes. But she also did others like Battlestar Galactica, Independence Day, Donnie Darko, Dances with Wolves, Sneakers and many others. Site is comprehensive of a big photogallery with events, photoshoots, magazines, stills, a media archive dedicated to all fans fanarts on Mary, an extensive press library to collect all the articles and interviews on her and a video gallery section for recorded interviews, sneak peeks and trailers of her projects. We claim no rights to know her personally and it's absolutely respectful of her privacy and paparazzi-free!!! Veronica Mars, private investigator, returns to solve another mystery. Mary McDonnell sits down to interview fellow actors and women in business, exploring with them current events, media, pop culture and more. Visit the all new website theladybampodcast.com, listen and share! This fansite is strictly against any paparazzi or stalkerazzi pictures. We will not support any kind of bashing or privacy intrusion into Mary's life and/or the one of people around her. We will also not post any gossip or rumors on private life matters. Since Mary is on a pause after the extraordinary weeks in theatre, I’ve gone far with capping her career projects and today I conclude the “Crime of Fashion” series with DVD Screencaptures from Hostile Makeover where she reprised her role of Rose Smithsonian, the protagonist’s mother, and this time she was a lot more present in the movie and so much amazing in it. Enjoy the caps in gallery! This is a non-profit FANSITE. We are in no way affiliated with Mary, her management, her agency and/or friends and family. All photos and media are copyright to their respective owners. No infringement is intended. If you wish to have something of yours removed, please don't hesitate to contact us.